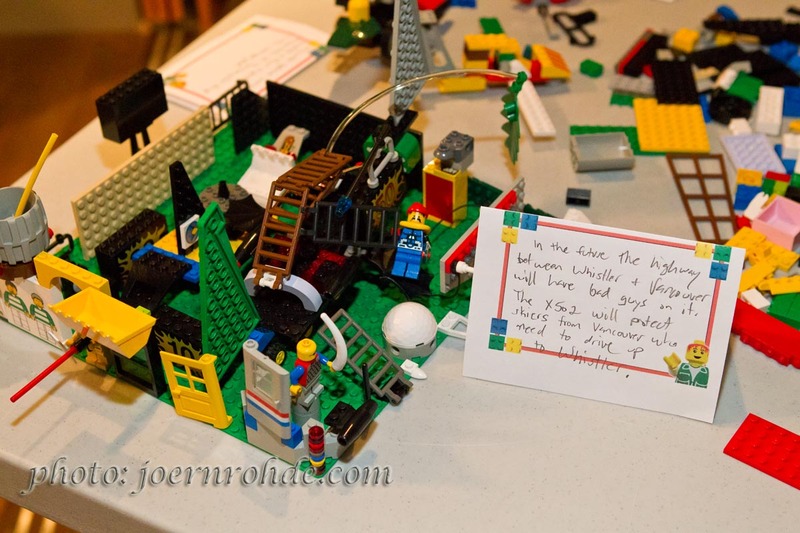 Whoa, kids really do love LEGO. 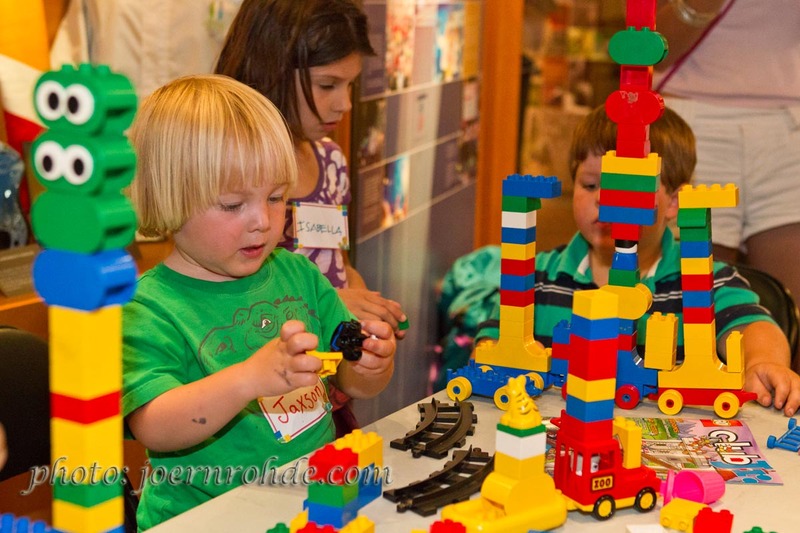 On Saturday the museum hosted it’s 15th annual (!) LEGO-building competition and the response was great to say the least. We knew we were in for a treat when registration filled up days in advance. It was extremely difficult having to turn away so many disappointed parents and children; we easily could have had twice as many participants if we had the space. For anyone who was there, however, it was pretty clear that 50 LEGO-crazed ankle biters was plenty for our little museum. This year’s theme was “Transportation: How Would YOU Get To Whistler?” After a short presentation from Jeff on the history (and future?) of transportation got the contestants sufficiently riled up, buckets and buckets of LEGO were dumped on the tables and the kids exploded into a creative frenzy. Taking a cue from Jeff’s presentation, many of the designs took an eco-friendly approach. There were several solar-powered vehicles while others ran on wind, coffee beans, even dolphin power! Some were as creative the designs themselves, such as the description for the SS Stanger, which was written in the form of a diary! When the building stopped a scavenger hunt kept the kids busy while the judges had the difficult task of picking their favourites. Jeff was mobbed one more time when he decided to give out coupons for free gelato scoops to kids with the right answers. Seems simple enough, but it seemed as if not only did every single kid know all the answers, but had each one out and was reaching for a prize before Jeff had even finished reading the question. It was pandemonium. Somehow Jeff survived and the judges managed to choose their favourites. 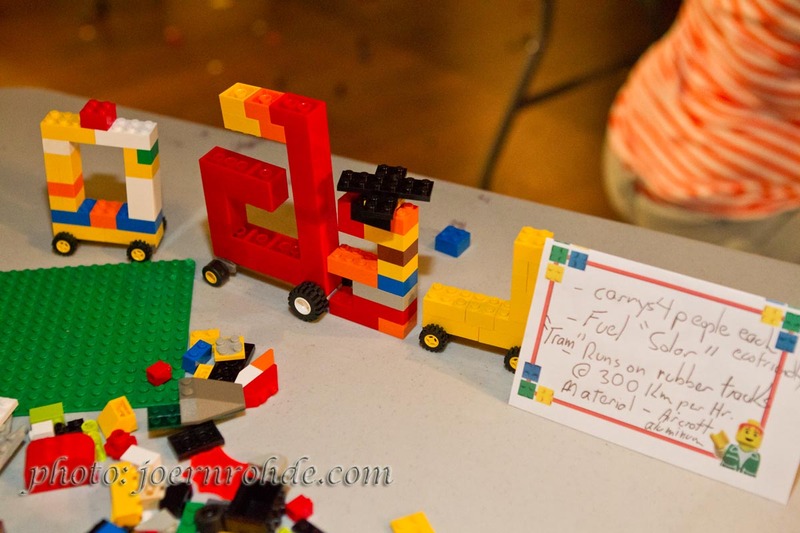 Congratulations to all the winners and thanks to all who came out and made our 15th annual LEGO-building competition loads of fun and a huge success. Till next year! Thanks so much to all the local businesses who donated prizes, ensuring that Saturday’s inspired designs did not go unrewarded, and that every kid went home with some goodies: Ziptrek, The Core, Whoola Toys, Prior, Armchair Books, Lush, Cows, The Body Shop, Hatley, The Old Spaghetti Factory, Meadow Park, Marketplace IGA, The Grocery Store, Blenz, Purebread, and Fun For Kids Toys and Accessories. Finally, one other piece of LEGO-related business: For the last few weeks we’ve had a massive jar of LEGO bricks on display at the museum and kids were encouraged to take a stab at the total number of pieces. We had well over 100 guesses, ranging from 100 (probably the highest number some of the contestants could name) to more than 2000, but local boy Callum MacFarlane’s guess of 660 was closest to the actual number of 645. Congratulations Callum! 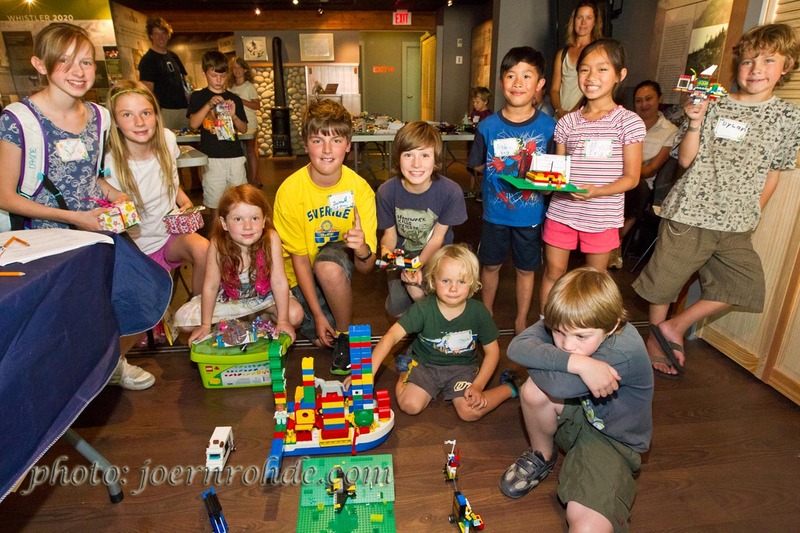 You’ve won a family membership to the Whistler Museum so now you and your family can come check out our exhibits whenever you want!